For the first time in 2016, Hillary Clinton’s favorability has reached 45%. According the RealClearPolitics, Clinton’s aggregated favorability is 45%, the highest it has been since December of 2015. Clinton has had a very poor favorability rating for some time, due to the investigations into Benghazi and her private email server, among other things. Why Has Hillary Clinton’s Favorability Risen? There are a lot of reasons that could correlate to Clinton’s increased favorability. First of all, she’s juxtaposed with Donald Trump, the Presidential candidate with the highest unfavorables in the history of the United States. This has also led a huge boost in President Obama’s favorability, which is currently at 52.5%. Clinton also had three strong debate performances, which portrayed her in positive manner in the national spotlight. Public polling consistently showed that most voters believed Clinton won all three debates. 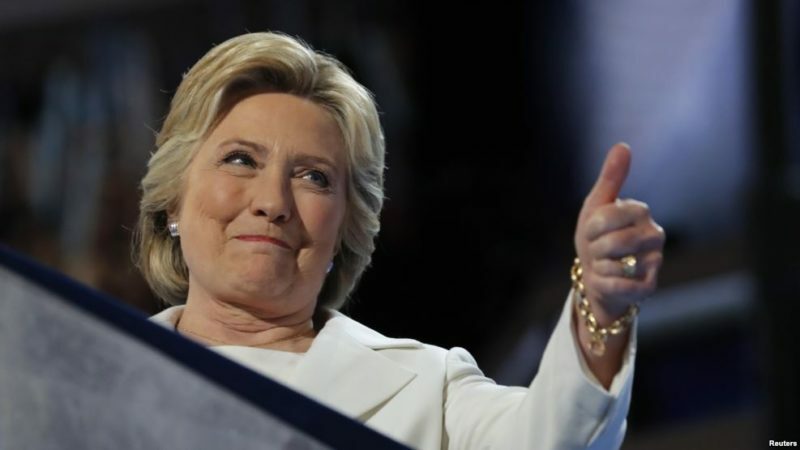 Finally, Clinton’s Presidential campaign has remained mostly scandal free, up until FBI Director Comey announced that new evidence had come to light regarding her email investigation. We do not have any polling since the announcement, so it’ll be interesting to see what impact these recent developments have. Comey gave no timeline in his announcement, but with the election less than two weeks away, we are unlikely to see a conclusion before the voters go to the polls.